ShortScale :: View topic - Fernandes Mustang Help. 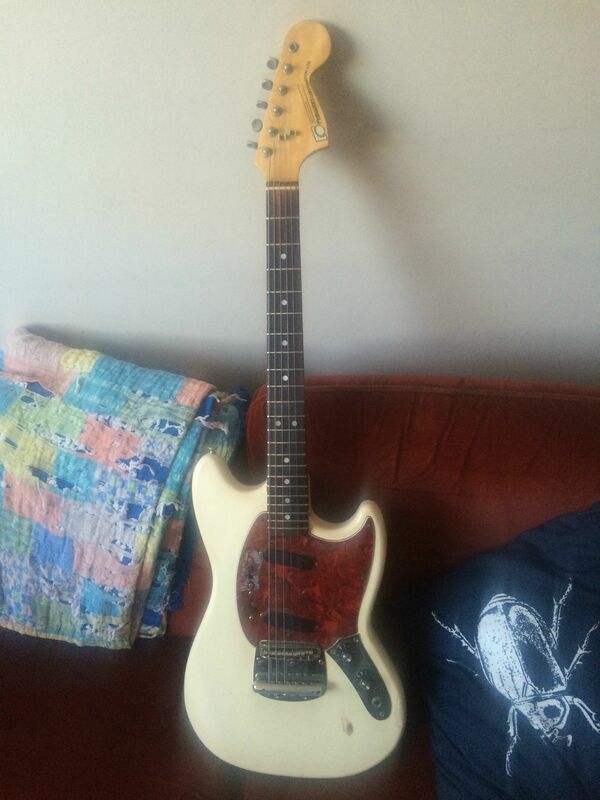 Posted: Sat Feb 21, 2015 5:56 am Post subject: Fernandes Mustang Help. unfortunatly its fallen by the wayside and has seen better days. or set it as is. 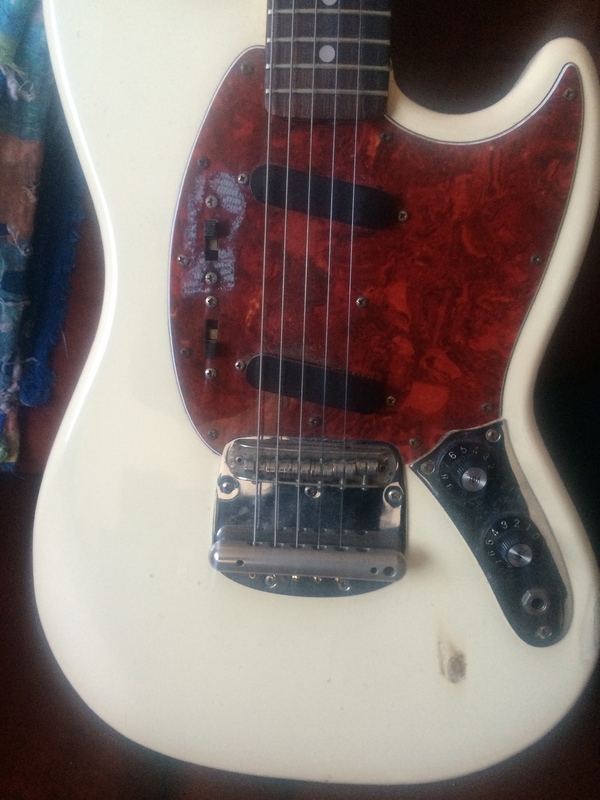 currently the issues are that its missing a tuning peg, and i cant get the bridge to "stay" in place, either the action is set up too high, or i need thing to lift the bridge up more. 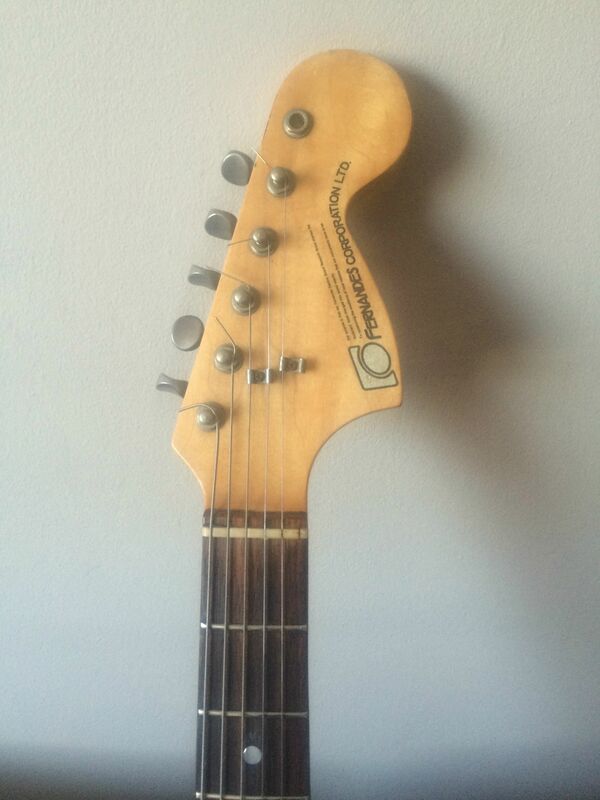 The "stone" logo on the headstock means its probably late 70s. I haven't played any myself but as far as I understand if you want a Fernandes the stone logo ones are the ones to get. Does it have a truss rod access at the heel or are these the same as the truss rod-less Cimar ones? 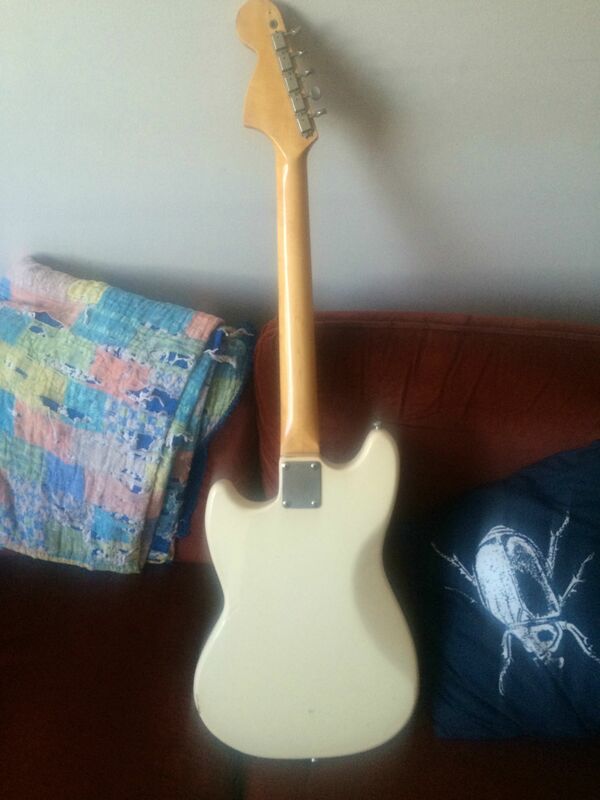 Posted: Sun Feb 22, 2015 11:36 am Post subject: Re: Fernandes Mustang Help. i cant get the bridge to "stay" in place, either the action is set up too high, or i need thing to lift the bridge up more. It's meant to move with tremolo use, if that is what you mean? You have the strings passing straight through the tailpiece like a stopbar, but it's designed for the strings to pass in the other way and wrap underneath the bar, providing a sharper angle between the bridge and tailpiece. Without doing that the downward tension of the strings on the bridge is probably considerably lighter than stock spec... it will help the strings stay more firmly seated in the saddle slots too. and when i removed the strings to restring it, i found some screws at the bottom of the bridge to raise it and its definitly more playable now. thanks for the help as to dating it also. The little holes above the screws on the bridge are for a small hex key so that you can raise/lower it without taking it off.